We take pride in every job that we do. We employ a full-time staff in several departments to make traffic signal installations easy by having the staff you need ready to move. Kuharchik Construction Inc. will be present for the entire process, from job layout to intersection turn-on; providing any services necessary. Our purchasing department uses its many years of experience, while procuring materials and calculating lead times, to ensure the project is completed on time and within your budget. All of our signal technicians are all IMSA (International Municipal Sign Association) Level III Certified and are prepared to solve any problems that may occur during or after the installation. Our relationship with the Pennsylvania Department of Transportation began over 30 years ago. Together, we work to install, maintain, and troubleshoot all aspects of highway lighting, while meeting the standards of any regulation. We keep highway lights operational across Pennsylvania. When a problem occurs: broken conduit, mice infestation, burnt out bulb- our skilled technicians work around the clock to pinpoint, isolate, and fix the issue quickly, and within budget. We install, upgrade and can fix: stop signs, billboards, highway lighting, lane usage, regulation of movement, exclusionary, one-way, divided highway, permissive parking, emergency restrictions, bicycles, pedestrians, road closure, weight limits, weigh stations, truck routes, rail, light rail, seat belts, headlight, pavement and roadway conditions, and schools signs. We utilize trained linemen out of Local Unions 126 & 1319. The trained professionals at Kuharchik Construction Inc. are ready to take on any job, including aerial construction. Our knowledgeable employees understand all aspects of this type of high voltage construction, and always take every precaution to ensure the job is done correctly, on-time, within budget and safely; this includes the use of air break switches. Our technicians are ready to undertake and complete any aspect of repair and maintenance work, including splicing, testing, and metering. We utilize trained lineman out of local Unions 126 and 1319- and find much of our success is derived from this ongoing partnership. Intelligent Transportation Systems are becoming increasingly popular, and Kuharchik Construction Inc. is ready to install and maintain them. The use of Intelligent Transportation Systems has created a perfected, advanced traffic coordination system aimed at the ultimate goal of a smarter use of transportation systems, and its networks. The implementation of many Government policies revolving around Homeland Security and the need for a more efficient travel grid has motivated the vast implementation of Intelligent Transportation Systems. Although Intelligent Transportation Systems do implement strategies which involve surveillance, and other forms of monitoring, it’s done to ensure safe, and controlled evacuations if the need should ever occur, ensuring the safety of members of the surrounding community. Kuharchik Construction Inc. has familiarized itself with every aspect of airport lighting installation. We’ve gained experience completing numerous project at several major airports, including: Allentown/Bethlehem International Airport, Wilkes-Barre/Scranton International Airport, Mount Pocono Regional Airport, and Reading Airport. 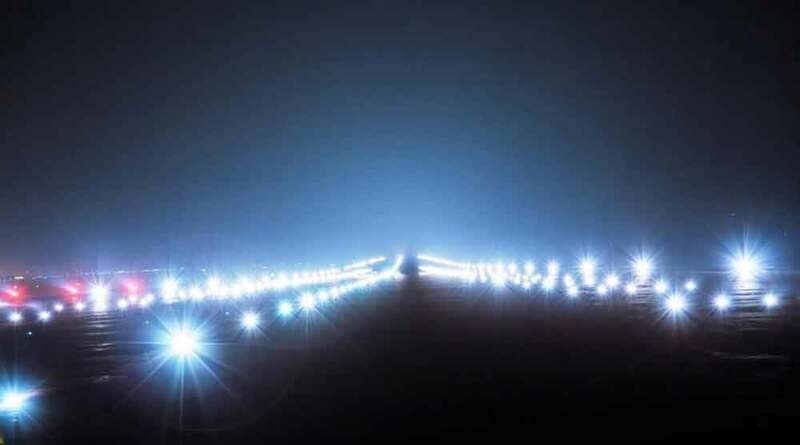 We offer numerous construction services, including Pappi lighting, runway and taxi way signing and lighting, runway centerline systems, touchdown zone lights, runway end identification lights, and approach lighting systems. In addition to all of the lighting work, we can also do splice cans, and runway trenching. Kuharchik Construction, Inc. is committed to the enhancement & revitalization efforts of the streets of our Pennsylvania towns. Our streetscape architects create an accessible vision for the community, making it a happier and healthier place to live. We are extremely skilled in the planning and design process of public walkways and streetscapes, not limited to: the assessing and planting of trees, creating level walkways for pedestrians, and upgrading to new lighting methods; providing safe and convenient access for users of all ages & abilities. We will create a specialized plan of recommendations to modify and improve safety and usability, while enhancing the aesthetic character of the streetscape, and incorporating new design treatments. The end result is a lasting space that can be utilized, viewed and and enjoyed by the community and visitors for years to come. We provide stadium, walkway, streetscape, and bridge lighting, as well as decorative light fixtures. Everyone at Kuharchik Construction Inc. calls Pennsylvania “home,” so keeping it well lit and beautiful is very important to every member of our staff. We take care of every aspect involved with installing and maintaining these lights and fixtures. Our years of experience also allows us to repair any fixture you currently have in place as well. We can move fast, and get any job done quickly, and within your budget. With over 45 year of experience, we’ve grown into a vast network- we can get any style fixture you need. We install and maintain roadway weather information systems to provide the most up to date weather alerts to ensure safe driving preparedness for all weather conditions. 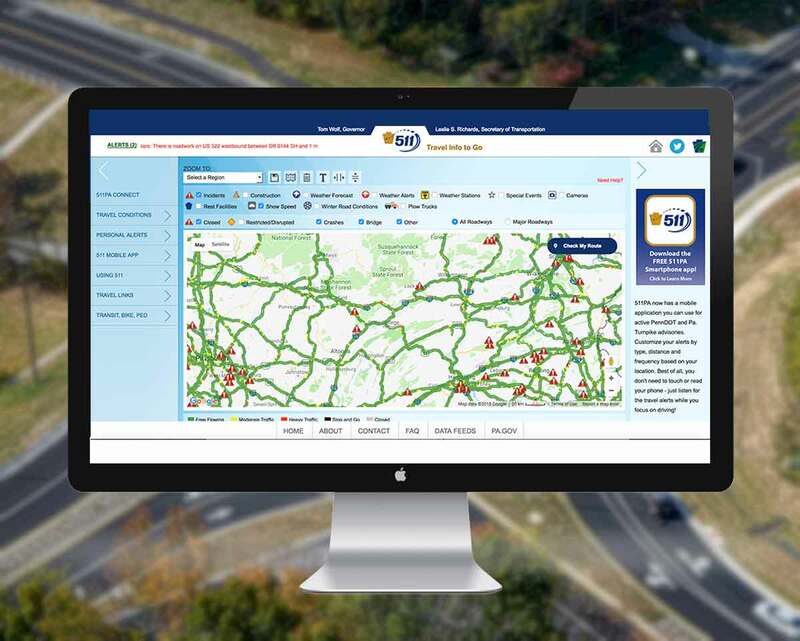 These systems are used by consumers, media outlets, as well as local and Federal Government to bring the general public the most accurate road-related weather information available. Using Environmental Sensor Stations, our Roadway Weather Information Systems measure visibility, water levels, and atmospheric conditions in real-time. Used by private vendors, state Departments of Transportation, as well as media outlets such as television, and radio broadcasters, our Roadway Weather Information Systems also display air temperature and humidity, visibility, wind speed and direction, cloud cover, rain type and rate, lightning strikes, storm location, as well as air quality. Our systems also accurately inform users soil temperature, water level data include stream, river, and lake levels near roads, as well as tide levels keeping our roads safe, and our officials informed. Our Portable Message Boards will display real-time information, and can go anywhere, and are available to you, anytime. We care about your budget- we care about your time. Our network of professional relationships, inventory, and decades of experience allow us to use our resources to keep your cost to the absolute minimum. Our portable message boards serve the dual purpose of alerting commuters about upcoming construction, as well as eliminate the need for the cost of a certified flagger. This saves on labor, and keeps the traffic safe, and traveling smoothly. Using our central distribution center, we can get you a sign as soon as you need it without delay. Emergencies, road construction, or traffic redirection: we have got you covered. There are projects and instances where traditional lighting, and traffic signals may not be enough. If cross-over lighting is needed for a construction site, or if a worksite temporarily requires additional output- our temporary traffic signals and lighting is the perfect solution. We have the resources to install and maintain temporary lighting and temporary signals at any time, quickly and efficiently. Our dedicated engineers can also and fabricate any resource for use as a solution, in any situation. Kuharchik Construction Inc., deploys employees on-site to get the signage you need to remedy and address the situation immediately. We can also provide any electrical needs, including on-site generators, and assistance for any situation. We’ve been managing Pennsylvania traffic for over 4 decades, in effort to keep the roadways safe, organized, efficient, and environmentally friendly. It all happens as we install, integrate, and maintain traffic systems, while remaining cost effective and environmentally friendly. It’s accomplished by incorporating video wall integration, traffic camera monitoring, real-time traffic monitoring, automated warning systems, road weather information systems, highway advisory radio, and dynamic message signs into local roadways. Whatever you need, Kuharchik Construction, Inc. is ready to install it fast, and within any style budget. We’re capable of drilling foundations in a range of sizes and depths. We’ve successfully completed an uncountable number of drilling operations including pole line construction, intelligent transportation systems, and stadium lighting. Our equipment has the ability to fracture bedrock, and has diameters ranging from 12 to 66 inches! This means any job you have, we can handle. Kuharchik Construction, Inc. uses cased drill shafts, uncased drill shafts, production drilling equipment, derrick applications, and tie downs. Our staff comes certified, and keeps environmental impact and your budget in mind on every job we do. There are many contractors providing traffic signal maintenance, but Kuharchik Construction Inc. stands out. When it comes to traffic signals, no matter if you need preventative maintenance, emergency maintenance, scheduled maintenance; we’re in a league of our own. Our base of operations is located in the heart of Northeastern Pennsylvania, and has been servicing numerous local municipalities for the past 40 years. Our technicians have a level of expertise that cannot be matched. Our dedication to giving our customers the best work, for the best value, remains a principal that hasn’t changed since day one. By remaining local, we are able to deliver unmatched services. MAX ONE HOUR CHARGE: Our quick response times means that most service calls are only a maximum of a one hour charge, meaning your systems will be back up and running in less time than that. FASTER THAN ANY OTHER COMPANY: We have over 150,000 signals, controllers, and extra parts stored in a central location on Schooley Avenue, in Exeter, making grabbing the part you need quicker and easier than it would be for any other company. IMPECCABLE RECORD KEEPING: We keep highly detailed records of everything we do, and our documents are ready for use by municipalities for their own records management. THE FINAL SOLUTION: In the event that we do not have the part for the job, our experienced technicians can provide temporary modifications to keep the signal operational until we finalize the solution. HUGE TASK FORCE: We pride ourselves in being prepared for any situation and have over 60 field employees ready to join any team needing additional help. These employees expedite every job to save clients’ money and time. Although we install traffic signals, we also specialize in equipping these traffic signals to receive Transportation Preemption signals. These signals manage public services, such as EMS, fire, and police vehicles- ensuring quick and safe arrival by stopping traffic when any sort of emergency occurs. Emergency Preemption Device signals also give public transportation, like school buses, priority access through intersections. This aids in shortening commute time, but it also allows for more accurate scheduling. Transportation Preemption gives emergency responders control over traffic flow, keeping communities safer, and ensuring emergency officials get where they need to be as quick as they can get there. Traffic management is an extremely important element of traffic safety, and having continued and managed flow. Because of this, Kuharchik Construction Inc. offers Microwave Sensor installation. These sensors monitor traffic patterns and collect data which aids in measuring a roadway’s traffic. This information is used to keep you safe, and to make your commute to work faster. Microwave sensors require very little maintenance, and are easy to install, because they do not force lane shutdowns. We stock our warehouse full of every device you may need, to ensure our certified team can quickly install the highest quality Microwave Sensors. Microwave Sensors can be seen in graphs used to display traffic information on Google. Kuharchik Construction, Inc. doesn’t stop on the surface. We are known for quality work below the ground, too. We have experience constructing both manholes and conduit. Safety during these jobs is priority, and our employees are all confined-space literate, and equipped with any necessary safety equipment. For contracts requiring a substantial amount of wiring, or when already existing roads or structures are present, we construct utility duct banks that contain power, utility, and fiber optics. There are several benefits to utility duct cables, as they make repairs easy and keep all of the electrical cables in a central location. Our electricians use a variety of methods to diagnose any electrical issue. Even the most extreme electrical challenge can be managed by one of the highly skilled union electricians employed by Kuharchik Construction. High potential and transformer testing, through the use of thermal imaging applications, allow electricians to pinpoint the problem and fix it permanently. Whatever the problem, we have the resources to repair surge protectors and a number of high voltage processes, including: Splicing, Cabling, Testing, Metering, Distribution, Substation work, and Transformers just to name a few. We have years of success completing these directional boring projects. Unlike traditional road construction methods, which require lane closings and traffic delays, Kuharchik Construction Inc. works below the surface. Directional Boring is also known as Directional Drilling, or Horizontal Directional Drilling (HDD), and we have years of success completing these Directional Boring projects. We don’t cut through asphalt and concrete- we drill horizontally and use high density polyurethane pipes to run wires and conduits underground. Kuharchik Construction Inc. also has the capabilities of open cut trenching as well. We have the equipment to trench through rock, asphalt, and dirt, regardless of the location. Directional boring allows us to avoid underground utility lines. Utility lines are test pitted to expose the lines, as our skilled technicians view the boring head as it carefully foregoes the test pit. After this is done we use HDPE pipe which gives us the flexibility to go over, or under, any lines. Directional boring has been widely used by signal & utility contractors for the past 12 years. Kuharchik uses this practice on all of our projects. LESS DAMAGE: We can locate the depth of the boring head using a special electronic locater. No other boring method or jacking method will be able to do this. Property owners will have less disruption, and overall impact from restoration processes. REDUCED DISRUPTION: The effect on traffic will be minimized since we do not have to shut the entire lane to do directional boring. ENVIRONMENTALLY FRIENDLY: Directional Boring causes little-to-no lasting impact on the environment. It is suitable to a variety of soil conditions and will be significantly less destructive then conventional methods of jack and bore. With pride- a select number of Kuharchik Construction Inc. employees are certified to splice and install Fiber Optic Cables. We specialize in several different fiber applications including: variable message sign installation, traffic signal inter connections, and roadway camera installation/repairs. Fiber Optics Cables are one of the fastest ways to send information. Fiber Optics Cables use light, and are usually bundled with each cable, insulated in a protective sheath. The Fiber Optic Cables can be used to transmit information long distances, or between buildings and road signs. All of our Fiber Optic Cable options maximize road safety- and keep traffic flowing. No matter the Fiber Optic Cable job you have, we can get it done quick, safe, and within you budget. We have the right staff to oversee the project at every level. Our goal at Kuharchik Construction Inc. is to complete every contract to the highest quality, as efficiently as possible. We train, certify, and follow the proper guidelines to ensure employee and client satisfaction. Kuharchik Construction Inc. staffs engineers, a superintendent, purchasing agents, mechanics and designers, to meet all project needs throughout its development. We understand that in order to have a project finalize on time, and within budget, it’s our responsibility to uphold the highest of Project Management standards.